Home / FILIPINO FILMS / MOVIE REVIEWS / Movie Review: That Thing Called Tadhana - The Ultimate Hugot Movie of the Year! One of the dramatic lines that was delivered perfectly by Angelica Panganiban (Mace) in the film "That Thing Called Tadhana" which is gaining a viral response at the moment in Philippine social media. The film already reached a 100M blockbuster mark just this weekend. What makes this film appealing and works for the Filipino movie-goers? The movie was first released in theatres for a limited time and number of cinemas in Cinema One Originals Festival 2014 (from November 9 to 18 , 2014). Starring Angelica Panganiban (Mace) and JM de Guzman (Anthony), the movie was a winning entry in last year's Cinema One Originals film festival. 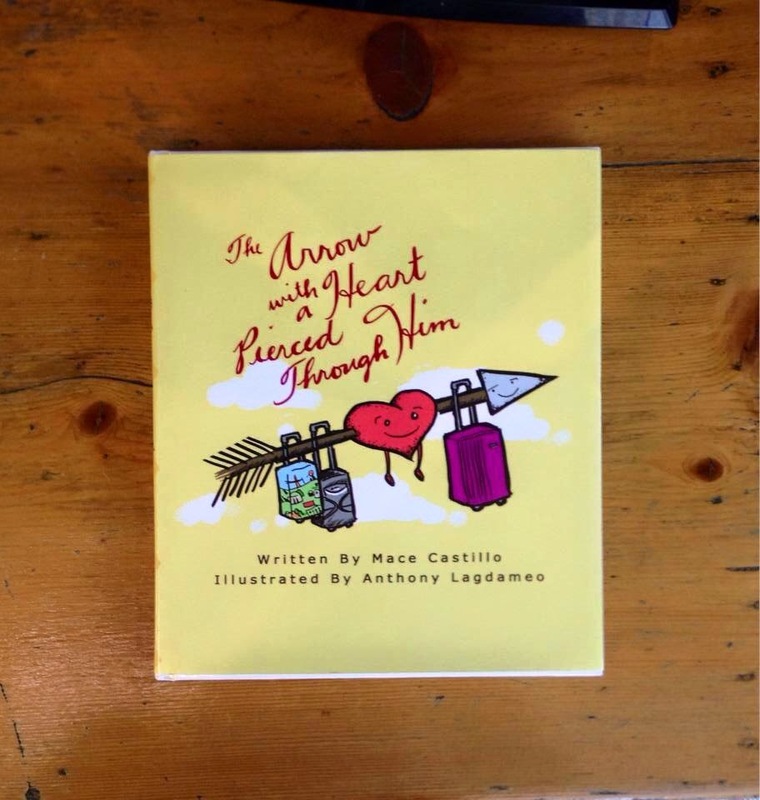 "That Thing Called Tadhana" asks the questions "Where do broken hearts go?" and tells the story of a woman struggling to meet airline baggage requirements who meets a man who comes to her aid. Both in despair out of love, they form a charming friendship that will take them to Sagada in their attempts to mend each other's hearts. The film somewhat gives you a very intimate look into two very relate-able individuals that met by chance and opened their mind and heart to each other. This has been a very good starting point in the film - it began with an event that probably won't be thought of by any traditional Pinoys. Who among us would be willing to travel with someone that we barely know and try to comfort each other with emotional excess baggage stories of our lives? Medyo masakit, close man kayo o hindi. That Thing Called Tadhana's plot slowly opens the Pandora's box of memories that everyone who experienced heartbreak would understand. 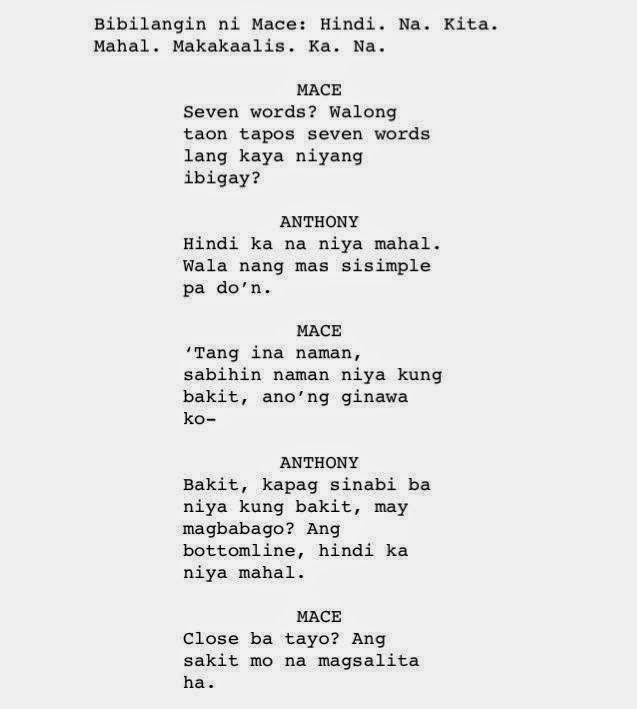 At one point or several cases that Mace and Anthony had cleverly exchanged witty lines often called #Hugot (extremely nostalgic phrases based on experiences that proves to affect the person telling it even in the present) the cinema would instantaneously react. Nostalgia and the Filipino's love for reminiscing the past have been a key tool for the film's success. Read another short review of the film here "That Thing Called Tadhana": Panigurado Makaka-relate Ka! The on screen chemistry of Angelica Panganiban & JM de Guzman is another big factor why a film with a limited casting and budget has been very effective. Angelica is Mace, a very outspoken and emotional lady in distress that almost never want to stop complaining and whining about her long term relationship. Anthony (JM de Guzman) on the other hand was the cool and calm guy that balanced the character of Mace. He has maintained composure even in the event when Mace was already saying and doing outrageous things. "That Thing Called Tadhana" also tackled some of our personal issues like the scene in the Museum where Mace suddenly saw Anthony looking at paintings and thinking of how small can someone feel after entering college. MACE: "Ano’ng nangyari sa panaginip mo nung umabot tayo sa dulo ng Session Road?" ANTHONY: "Hindi tayo umabot e. Nagising na ‘ko. Pero kung dudugtungan ko ‘yung panaginip ko, siguro, titingin ka sa’kin... Nang dahan-dahan... Tapos sasabihin mo... Kakalimutan mo na siya." MACE: "Kakalimutan ko na siya." Starring Angelica Panganiban & JM de Guzman.